On behalf of admin of JML Law, A Professional Law Corporation posted in Wrongful Termination on Thursday, Sep 28 2017. The phrase “wrongful termination” is commonly misinterpreted and used inappropriately by employees that have been fired by their bosses. 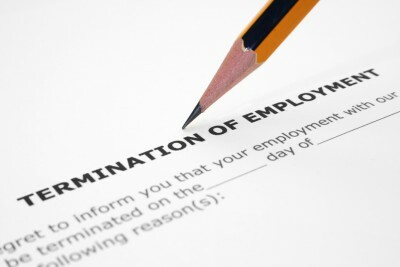 But how to tell if you were wrongfully terminated or legally fired? Being part of California – an ‘at will’ state – there’s much confusion about wrongful termination in Los Angeles. In Los Angeles, and all across California, an employee can be terminated for a number of reasons — or no reason at all. Being an ‘at will’ employee, you and your employer agreed that neither of you would need a reason to terminate the contract. However, by no means does it mean that employers should feel free to fire their employees just because they didn’t like the look on their face, for expressing his/her views, or exposing workplace misconduct to authorities. Were you fired for any of the following reasons? your employer violated any bargaining agreement or contract signed between you. your employer has a handbook that says the employee must receive two written warnings for misconduct or poor performance before they are terminated (and your employer hasn’t issued any). If neither of the above applies to your particular case but you still believe you were wrongfully terminated, consult an experienced wrongful termination attorney in Los Angeles to investigate your particular case. Call JML Law offices in Los Angeles at 818-610-8800 or send us an email to find out if your firing was illegal. JML Law has a proven track record of representing thousands of clients that have been wrongfully terminated over the past 35 years. Become our client today and win compensation for your illegal firing. Four P’s: patience, persistence, proof, and presence of your attorney. and collect all available evidence to prove the wrongful termination. Seek the help of JML Law’s attorney to know what kind of evidence you need in order to file a wrongful termination lawsuit in Los Angeles and win it. Every case is unique, which means the evidence you need to collect may differ from one case to another.